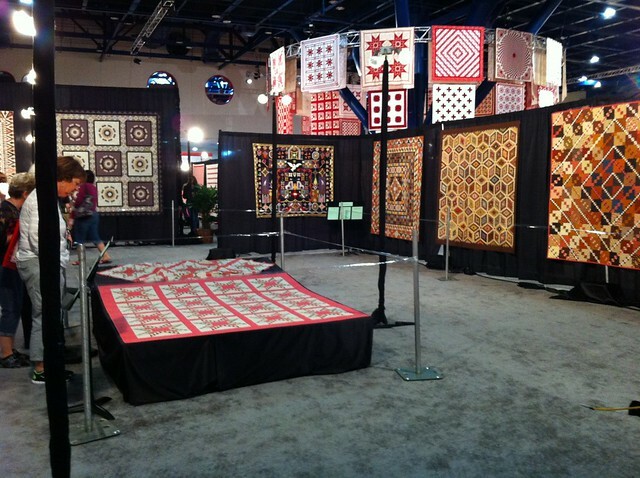 This weekend is the International Quilt Fest in Long Beach, CA. 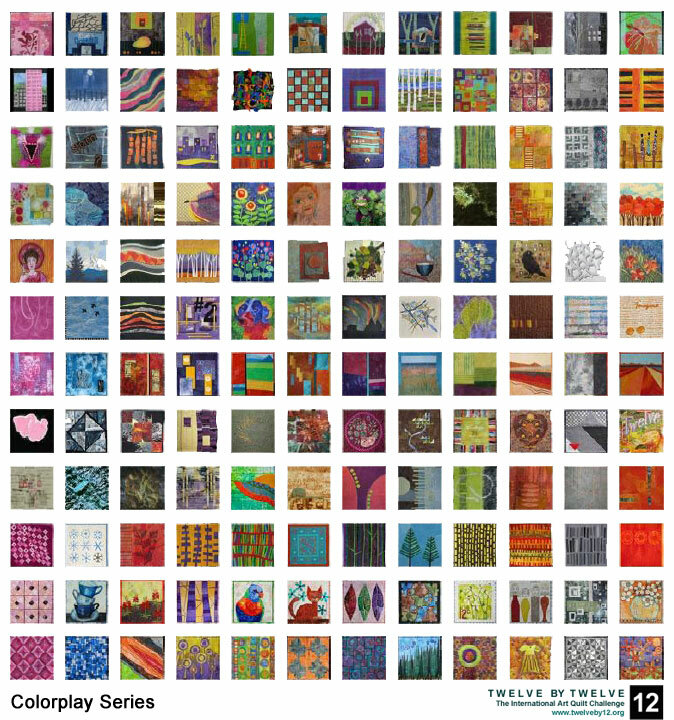 Unfortunately, I missed being there by one month, but I encourage anyone else in the area to go see the amazing quilts — to include the Twelve by Twelve exhibit of all our Theme quilts and all our Colorplay quilts. While there won’t be as many actual Twelves at the show as we had in Houston last November, Karen, Gerrie and Terry will be there. Please stop by and say hello! Yes, this will be a post in several parts — there just IS that much to talk about. 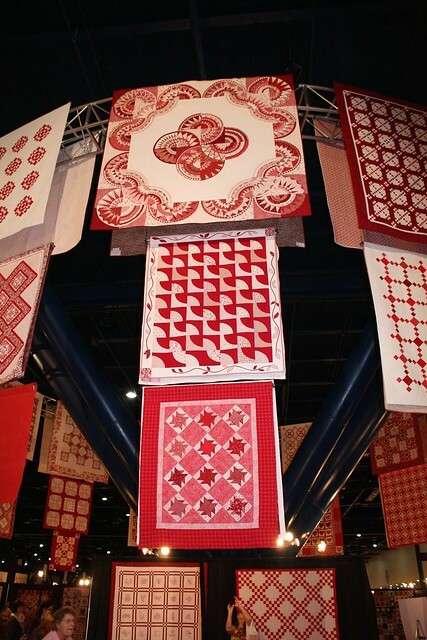 This year was my first time attending THE major quilt show in Houston. It is overwhelming to say the least. The first thing I noticed when we arrived was that everyone else had a plan and knew the routine — except us. However, that soon wore off and we settled in to enjoy the show. 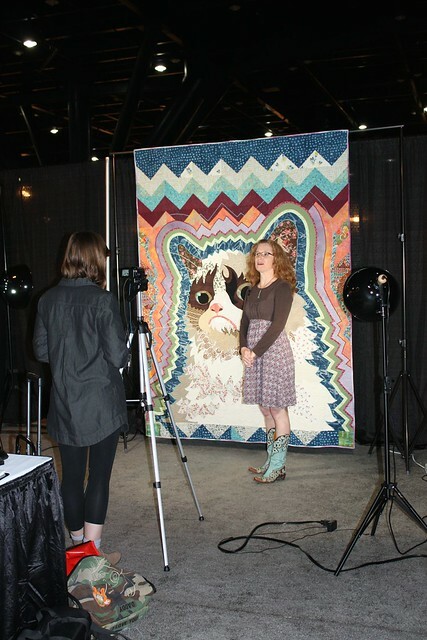 There appears to be two quilt show subcultures as well. One is the people who come to see the quilts and take the classes. They come with a plan and the schedule and know the who what where and when of everything. They’ve decided which day they are going to look at the quilts and which day they are shopping. They have a plan for going systematically through each aisle, or in which order they will find specific quilts or exhibits. They may even have coordinating bags or headgear. I was not one of these ladies (though having a plan, or even a plan not to have a plan, is definitely recommended). The other subculture is the vendors, exhibitors, instructors, and lecturers (often one and the same). 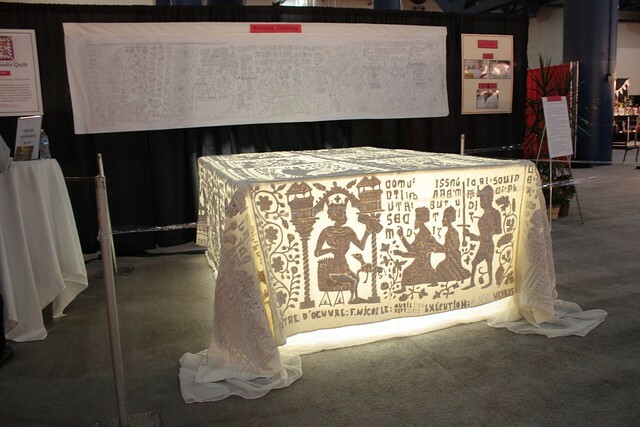 They may get a chance to see the quilts or to shop, but mostly, they are flitting between their responsibilities at one booth or classroom or another. 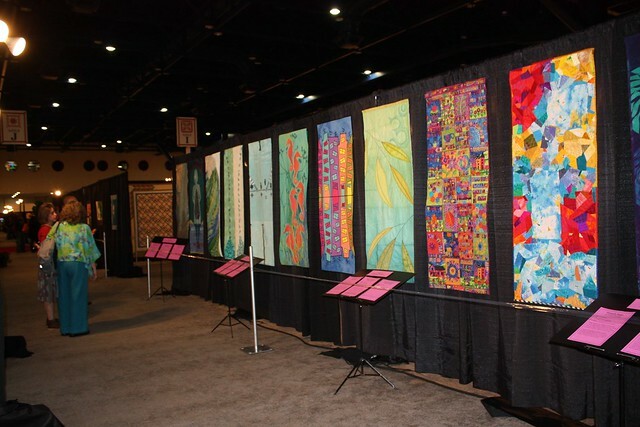 These are also the people who know each other online, but not necessarily in person, or who only see each other once a year at this quilt show. These are the people who you see grinning, arm in arm, on post-Houston blogs. I’m tangentially one of these people. This was my favorite part of the experience. I really enjoyed meeting people who I had previously only known by their work, or their blog — and learning that yes, they are just as funny and nice in real life as they are online. This is what the exhibit side of the show looks like from the windows on the second floor. Here’s the vendor area from the floor. A quick walk past the vendors Wednesday night took us right to Shibori Girl Glennis Dolce. I HAD to buy a few things from her as it is all one of a kind and wonderful. She’s a sweetie too. Thursday night we had dinner with my friend Johnnie who was also at Festival. Johnnie and I used to have breakfast together every two weeks with a small group of quilters who enjoy handwork. This was when we both lived in Germany and now Johnnie’s in Texas and I’m in Hawai’i and this is the first time we’ve seen each other in over two years. We both miss the group terribly, so it was wonderful to at least have a small part of it together, even if only for a few hours. On Friday, fellow Twelve by Twelver and long time blog friend, Deborah found me. 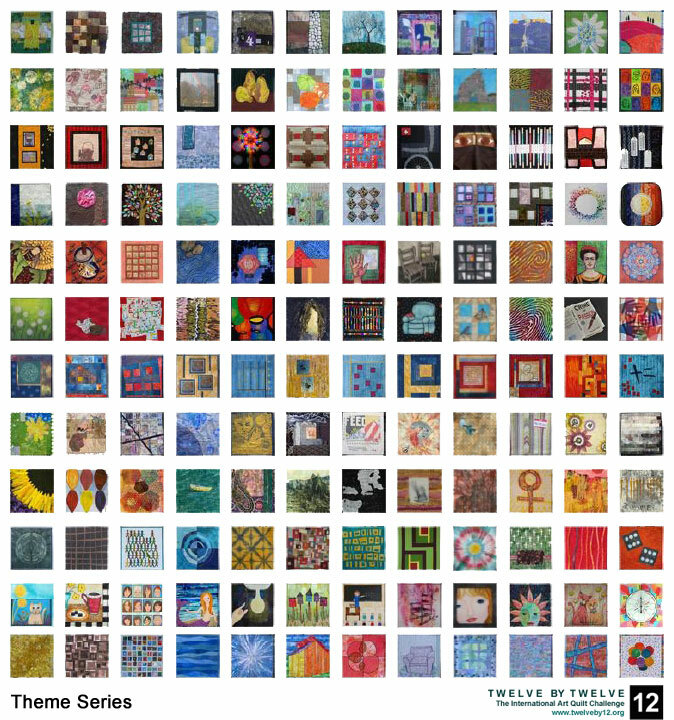 We had great fun checking out our quilts together at the Tactile Architecture exhibit. We had a meeting planned for Saturday, and then pretty much paled around together the whole day. It was fantastic! Even though we’ve only met in person twice, we get along like we’ve known each other for years — which of course we have — through our blogs. Deborah knows Judy from previous Quilt Festivals and I know her from her blog. We also went to the same art school though a few years apart. The two of them have pretty much convinced me that I MUST return to Festival next year! If it means spending more time with these two, I’m all for it. Quilting Arts Magazine sponsors “Make It University” where you can spontaneously take a one hour class typically given by a QA or Cloth Paper Scissors writer and learn a new technique or play with a new product. Here’s my son getting tips on printing with a rubber fish from instructor Jane Davila (who is also an all around cool person and art quilter and author who’s work I’ve been admiring for years). Naturally, kids being kids, my two used their rubber fish in a mock battle. But here they are very proud of the trading cards they made with acrylic ink wash, stamps, and fish prints. This was a great class for most all ages. Katja and I also took a collaged frame class with Michele Muska of Simplicity Creative and her lovely assistant Allison Aller. Later, I discovered that Allie does amazing crazy quilting. Both her quilts won ribbons! Katja loved learning how to emboss metal for embellishments. One of the highlights was my husband (IBOL Guy) getting to meet with Founder and Director of International Quilt Festival, Karey Bresenhan and not only thank her personally for her support for IBOL 1, but also get a promise of support for IBOL 3 if it happens (which now, it kinda has to, huh?). And yes, Karey and Nancy (I hope I’m remembering the right name) are holding IBOL business cards in the picture. The other highlight was meeting blogger Tonya in person and getting a peek at her new book. It’s going to be a great addition to anyone’s library, whether traditional, “liberated,” or art quilter. I posted an awful picture on FaceBook so hopefully this better one redeems me a bit. Tonya is very much the funny, friendly, attractive, woman you’d expect her to be. Also, Tonya introduced us to the incomparable Alex Anderson whom I credit for drawing me in to the world of quilting as both art and craft. This is what happens in the Husband’s Lounge after a long day at Festival. 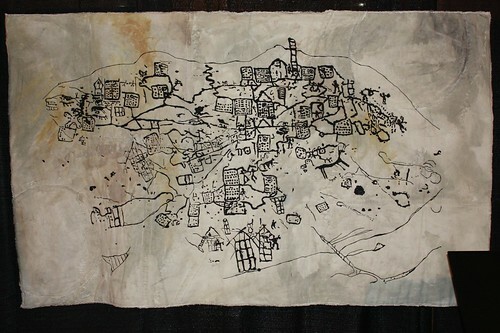 I’ll post quilt pictures tomorrow, but for some better ones sooner, check out Susan Brubaker Knapp’s excellent reportage here.